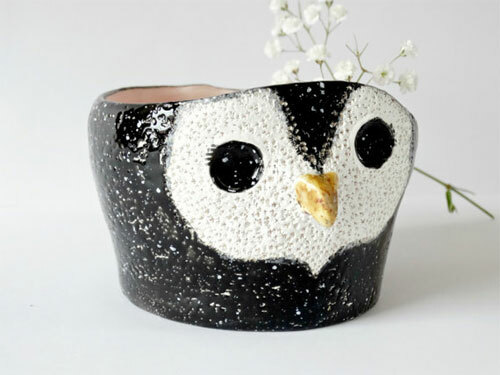 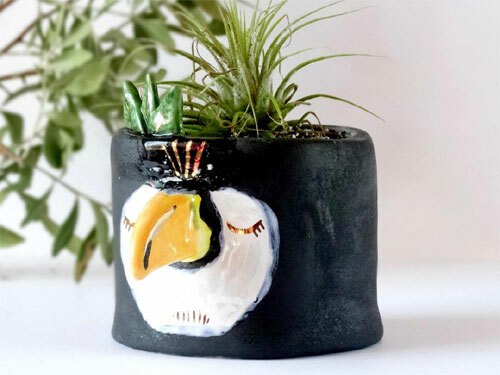 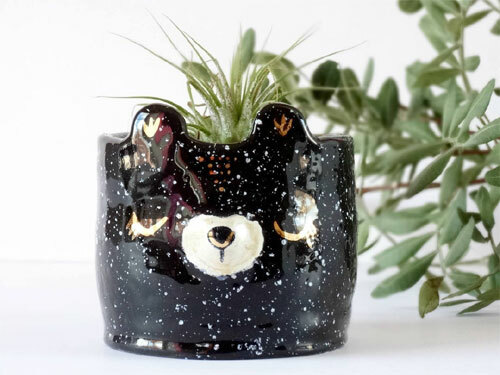 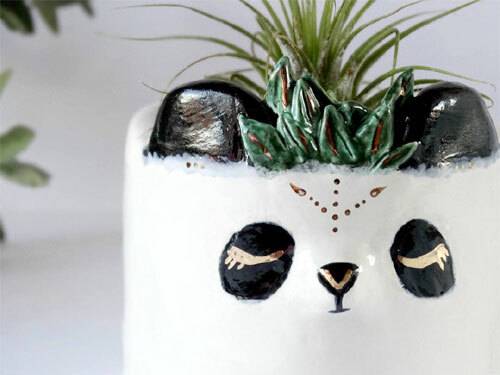 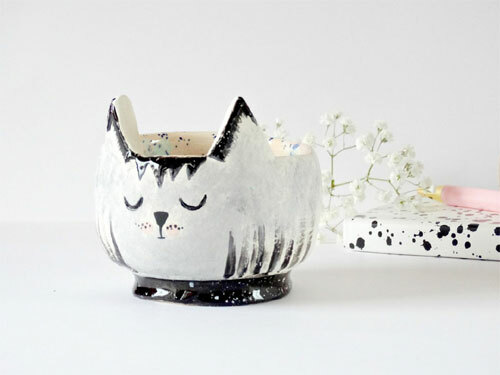 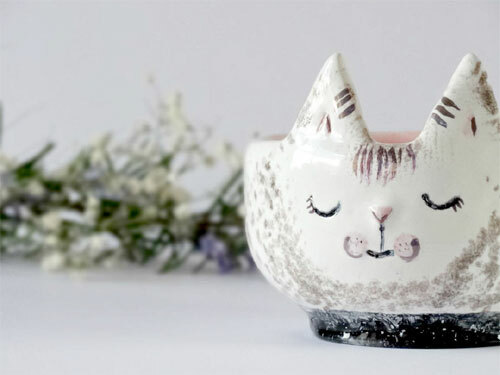 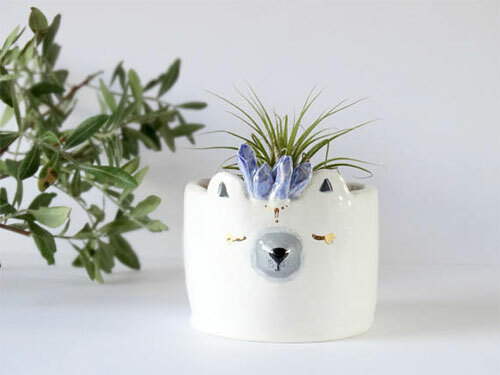 UK based ceramist Emma Jo Alford of Minty Mountain hand-sculpts animal planters in owl, panda, cat, rabbit and bear shapes. 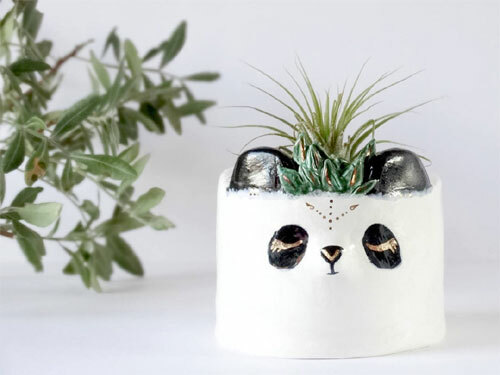 The planters are glazed in high gloss and lovely gold accent that gives the adorable planters an elegant twist! 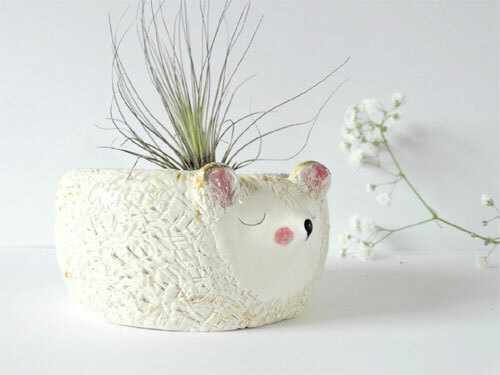 Emma's planters are ideal for cacti, succulents and air plants. 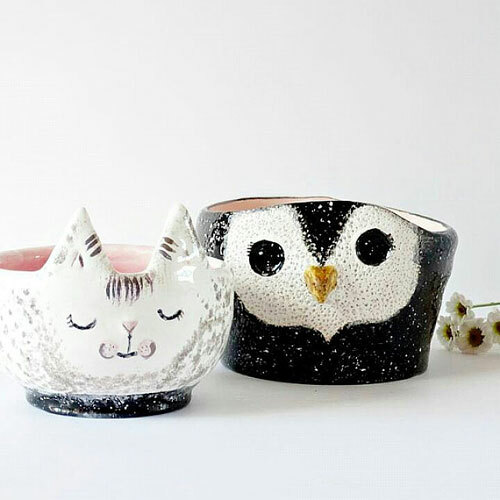 They will also make a sweet little trinket dishes. 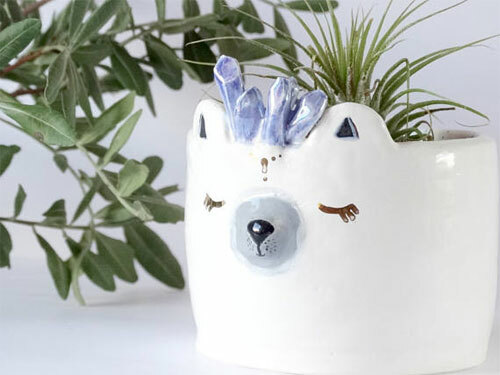 She is happy to take a custom order, so if you have an animal you would like her to make then contact her with your request from here.